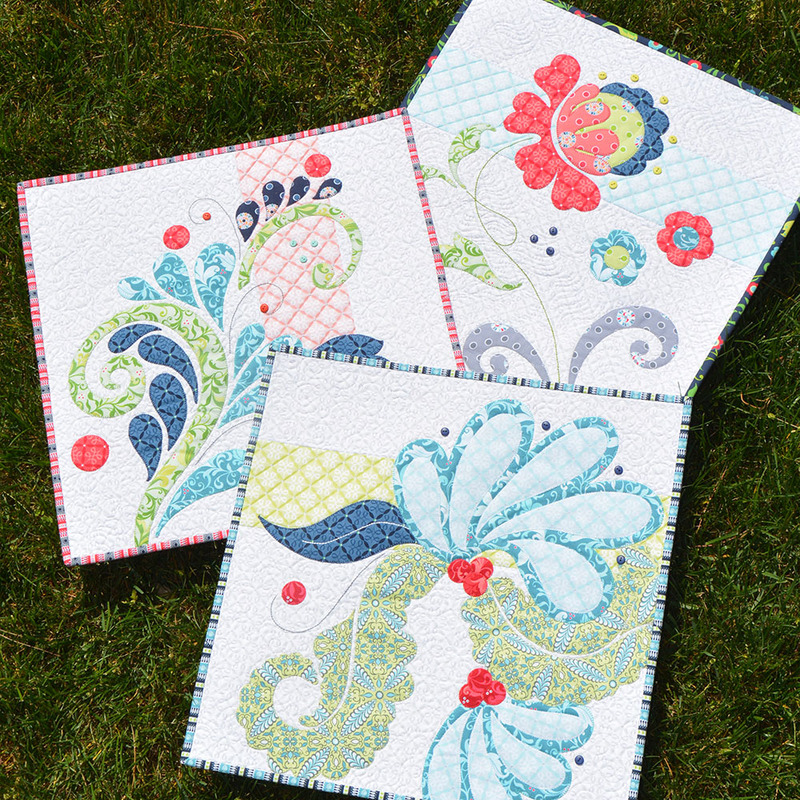 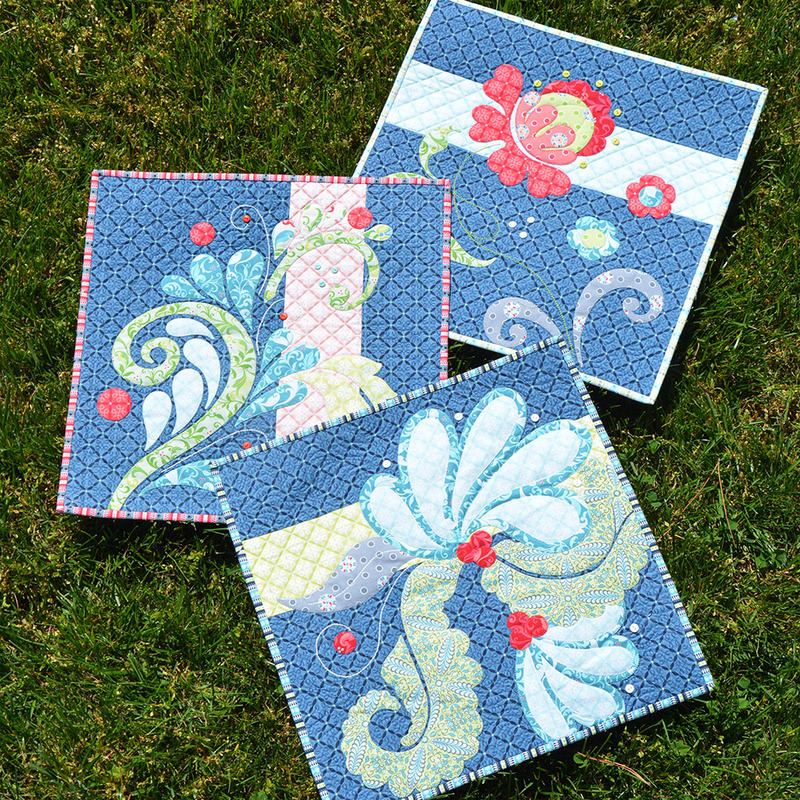 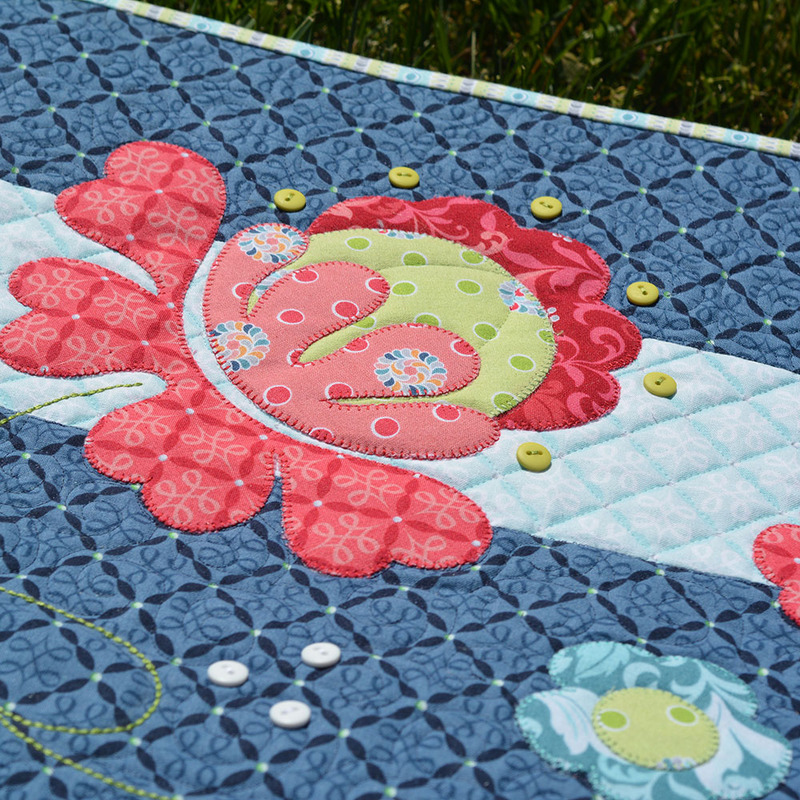 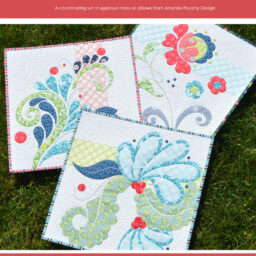 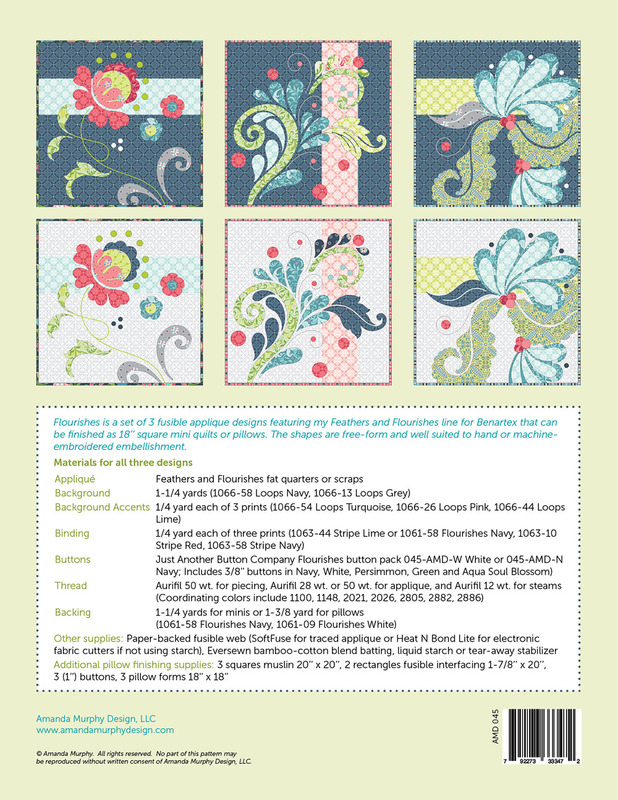 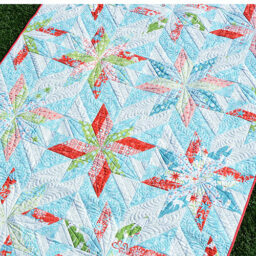 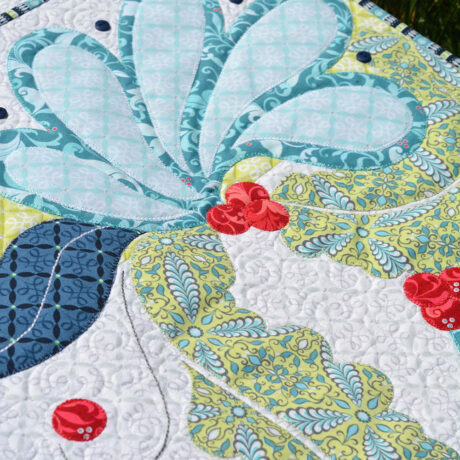 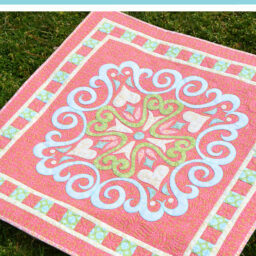 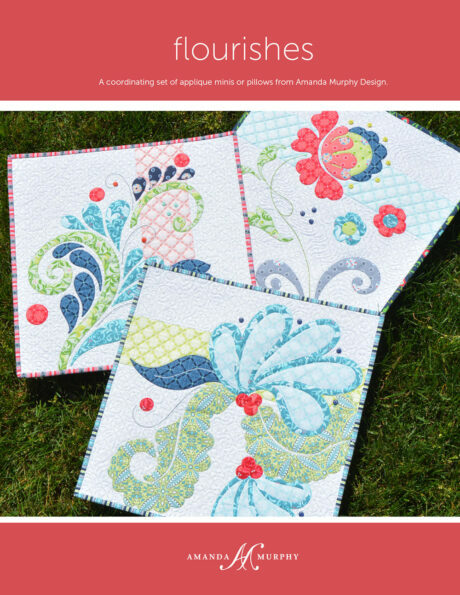 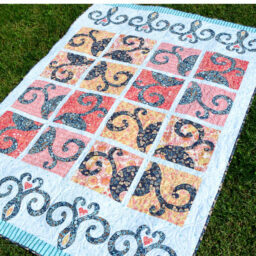 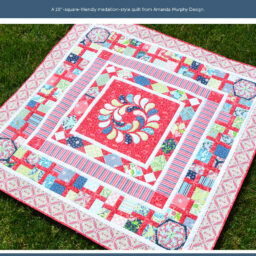 Flourishes is a set of 3 fusible applique designs featuring my Feathers and Flourishes line for Benartex that can be finished as 18’’ square mini quilts or pillows. The shapes are free-form and well suited to hand or machine-embroidered embellishment. THIS VERSION DOES NOT INCLUDE SVG FILES.